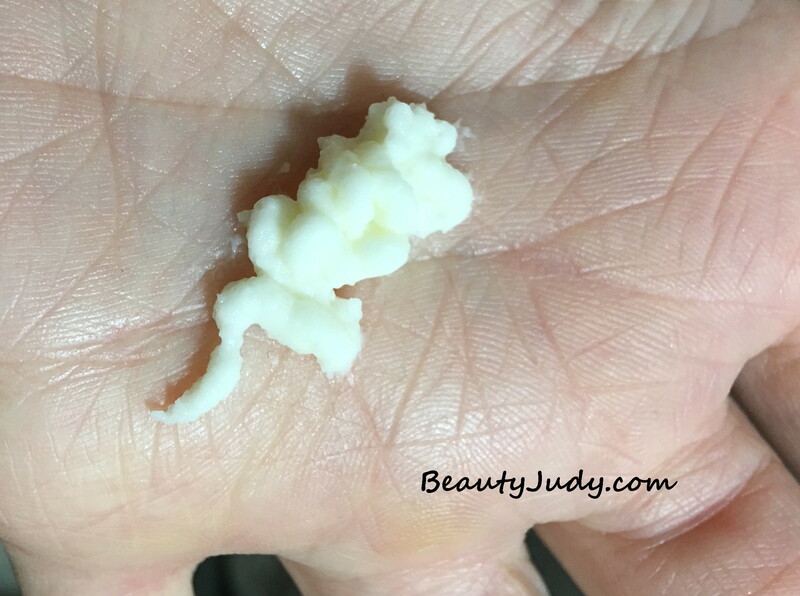 Posted in blog business, Guest Post, Nail/Hand Care, pictures, reviews	by Jessica W.
Hello, everyone, if we haven’t met, I’m Judy, from BeautyJudy! I’m thrilled to guest post here on Be Happy And Buy Polish today – Jessica has an awesome space on these inter webs to celebrate beauty and I drool over her nail swatches on the regular. Thank you for letting me crash the party, Jessica! I thought it’d be fitting to drop in with a quick review of a hand cream, since it’s winter. I don’t know about you, but I love keeping my hands moisturized so that when I wear all my pretty polish and nail art, my dry and cracked hands aren’t a distraction! While browsing the aisles at Ulta, I found a section of Tony Moly products, all made with banana. I picked up a couple, including today’s product, Magic Food Banana Hand Milk. Its key ingredients include banana extract and milk protein. Just purely on packaging, this hand cream won me over. 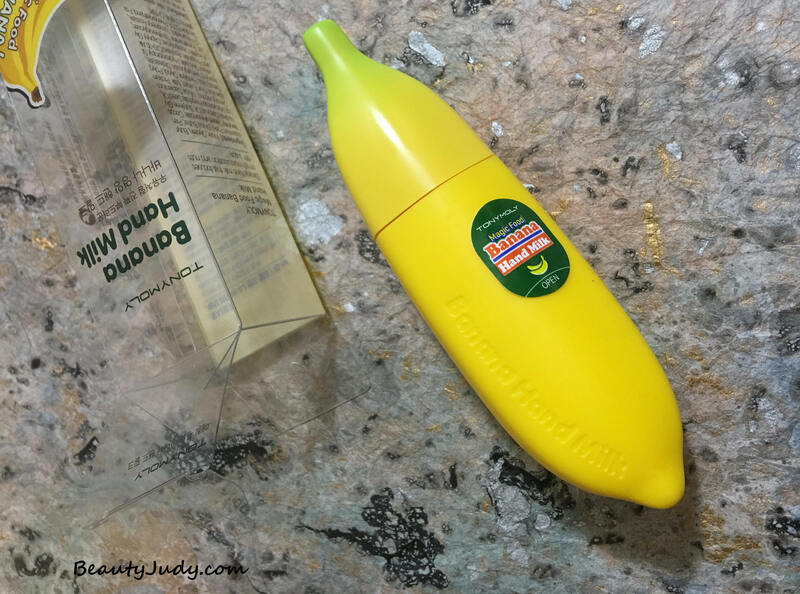 The compact banana shape fits nicely in my hand, and easily into one of the built-in pockets of my purse, alongside my cuticle cream. I don’t recall owning a cream quite like this one when it comes to getting it out of the container. 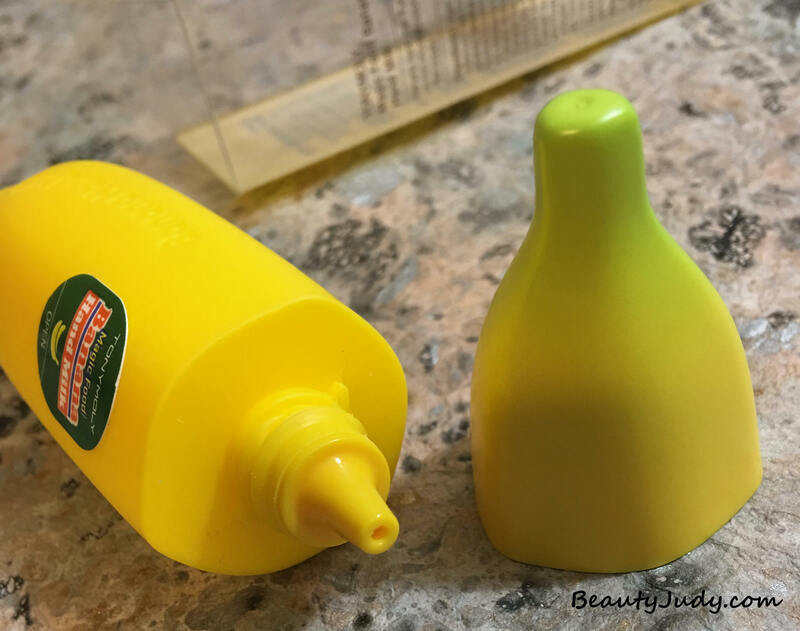 I’d say it’s more of a squirt than squeeze when you’re putting it into your palm, since the opening to the tube is narrow. It doesn’t take much effort, though! As you squeeze the cream out, the first thing you’ll notice is the scent. If you do not like banana-scented products, you will not like this. It reminds me of banana-flavored Laffy Taffy, which is one of my favorites! The scent is sweet and to me, wonderful, but after you’ve massaged the cream into your hands and gone about your business, the scent doesn’t stay strong for long. In fact, it seems to adjust with my body chemistry and change. I still find it to be pleasant. After using this, my hands are left immediately feeling moisturized, and after the cream is absorbed, they feel velvety until the next hand washing. I’ve been using this exclusively since the end of December, and my hands are not cracked, and I’m maintaining a moisturized feeling and appearance. Tony Moly is a Korean cosmetics brand, founded 11 years ago. Korean beauty is such a hot trend right now, and with a product like this to choose from – I can see why. 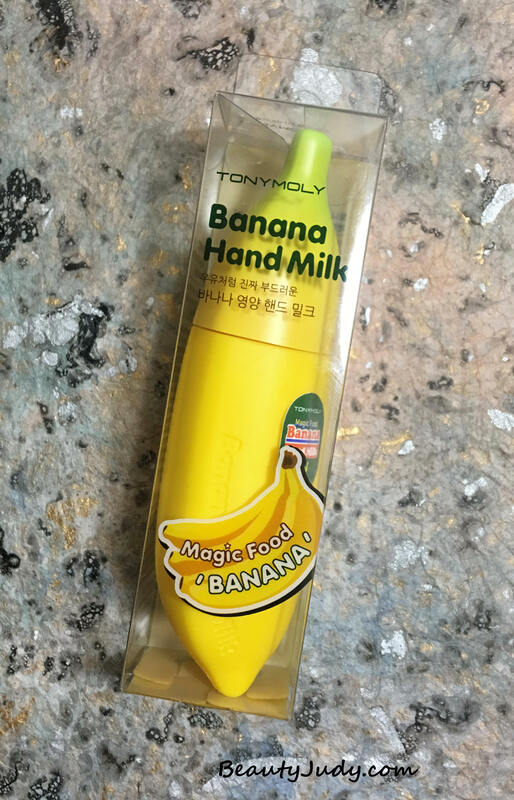 Tony Moly Magic Food Banana Hand Milk retails for $9.99 at Ulta, and on the Ulta website. There are other Magic Food Banana choices, like a Sleeping Pack (a nighttime facial moisturizer) and a foaming cleanser. Have you tried anything from Tony Moly? I’d love to hear your thoughts on this hand milk! Thank you, Judy, for sharing your review! Readers, can you believe it – Judy is celebrating 8 years as a blogger! I bow down to Judy’s longevity, that is quite the accomplishment. Please go say hello to Judy at her blog, her Facebook, or instagram. What a fun hand cream this is. The packaging is so unique. Thanks for letting me crash your party Jessica! I’ve already used this hand cream twice today, lol!